Elliot Hooper's troubles are far from over: his mum's health worsens, he's struggling at school and a bunch of anarchic Greek immortals have moved into his home - including teen goddess Virgo, who's in trouble with the Zodiac. 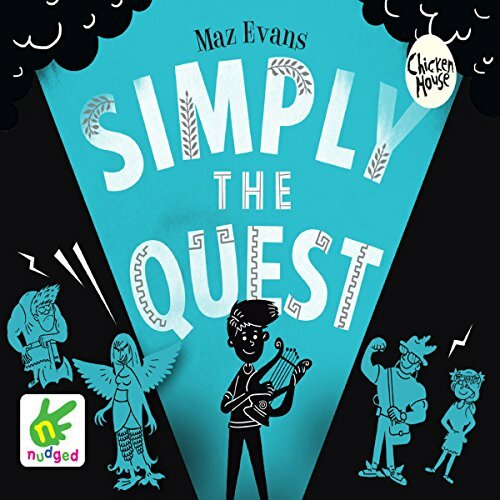 Maz Evans' books have become a staple for long car journeys in our family. Loved by 8 and 12 year old children and equally so by their mother! Moments of snorting laughter mixed with poignancy and all bound in a truly terrific story. Fast paced and full of unexpected twists. What more can I say? Brilliant!! This whole series is fantastic. The characters are both hilarious and, at times, poignant and the story romps along at a cracking pace. My 10 year old LOVES it & has listened about 6 times. Maz Evans reading is utterly brilliant and she brings so much life and humour to it. Her timing is impeccable; a real joy. Man Evans performed the voices so well. My nine year old loved the humour. Very clever and hooks you in. I really enjoyed listining to this book because it was ful of adventure and fun. I would recomend it to age 5-13. More adventures and more character voices...I loved it. It's an excellent sequel and I'm looking forward to the next one! Who let the Gods out is such an amazing book, it was always going to be hard to match it. Maz Evans has gone above and beyond and her voices for every character are amazing!